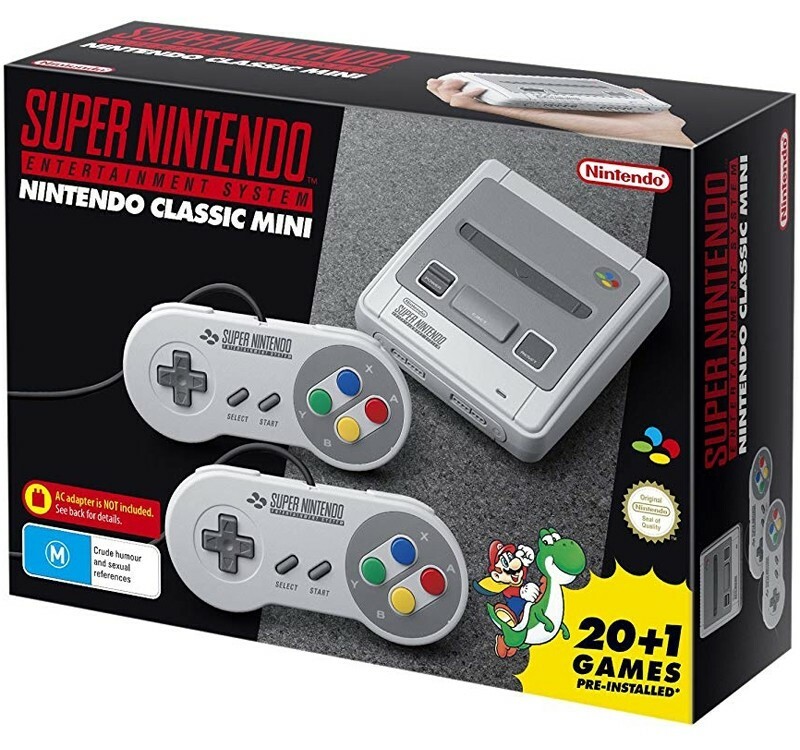 Step back into the ’90s and re-experience a timeless classic with Nintendo Classic Mini: Super Nintendo Entertainment System. 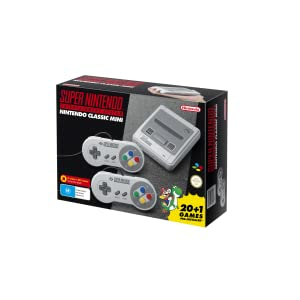 Nintendo Classic Mini: Super Nintendo Entertainment System. 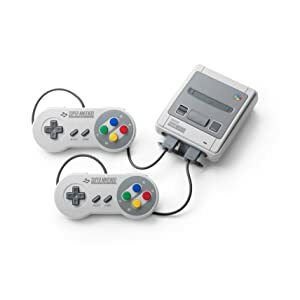 Two Super NES Classic Controllers. 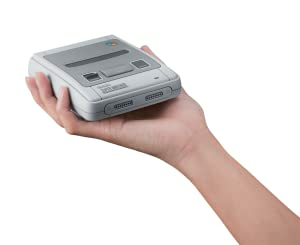 Super Mario World, Super Mario Kart, The Legend of Zelda, F-Zero, Super Metroid, Street Fighter II, Super Punch-Out, Castelvania III, Donkey Kong, Mega Man X, Kirby Super Star, Final Fantasy III, Kirby’s Dream Course, Star Fox, Yoshi’s Island, Super Mario RPG, Contra III, Secret of Mana, Earth Bound, Super Ghouls’n Ghosts!